Hello, Cory Davis here! 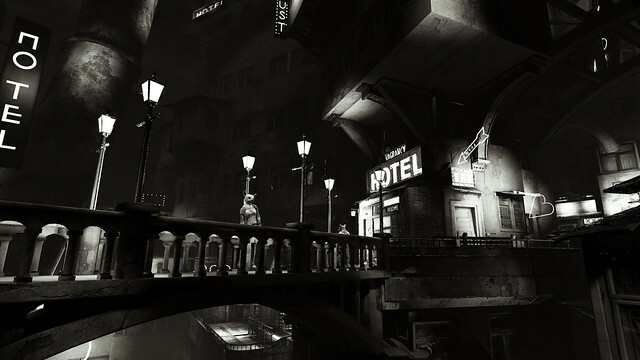 I’ve exhumed a treasure chest full of Here They Lie news and updates from the void. That’s a lot of upgrades — we’ve been working our asses off! I can’t wait for you to get your hands on all of these updates to Here They Lie on February 21 for PS4, PS4 Pro, and PS VR! YES bring the VR games. Please make it so that, when I’m turning using the right stick (as opposed to head turning) the game doesn’t do those black curved bars along the peripherals of the screen. I know, for some people, it can reduce nausea, but for me it’s very distracting and I’d rather be able to constantly see the world. Already beat it once–very good game guys! Will definitely play it through again with the PS4 Pro VR enhancements if you make those curved black bars optional/able to be turned off! Yes, same here. I had to go to the developer site to submit the request which I never do. I hoped they considered our feedback and implement it. Nice update, looks like a lot of work. Not trying to be rude, but does anyone check the options anymore? It has smooth turning setting! i have already enlightened a reddit user with the same information. Same as you, he beat the game with incremental/pie turning on. Doesn’t anyone read words anymore? They didn’t say anything about the incremental turning…they’re talking about the giant black closing in iris effect whenever you turn. I had wandered away from this game, despite it being directly up my alley in terms of theme and tone due to recurring motion sickness. This seems like the incentive I need to give it another go. The post-launch support is greatly appreciated! This gave me the worst motion sickness of any psvr game I tried too, but it went away the further I got into the game when it starts getting more colorful and detailed and some the stuff you see in the second half of the game is absolutely insane and makes it all worth it. Does this mean VR doesn’t support subtitle? I’m considering buying this game for VR but subtitle is a hard requirement as I’m deaf. Well this is exciting news. I’ve almost bought this a few times but then had to stop myself since it was VR only. YEY. I finished this game in VR. Such a great, moody, creepy and very original game. I cannot imagine playing it flat but I might play it again in VR to see improved graphics. Looking forward to going back into this game especially since I just an HDR TV last week. Thank you for the chapter select option, as this will make getting those collectibles easier. Hopefully you guys added something like a reticle in the screen to reduce motion sickness. Either way, I’m excited for the PS4 Pro flat version as I’ll be playing that to clean up the collectibles. Thanks for the continued support! Oh, this is incredibly exciting! I enjoyed playing the game on the VR, but I was slightly disappointed by the screenshot function. Pretty much every frame in the game is picture worthy and I was enamored with the idea of having a lot of screenshots for wallpapers. But the end results did not turn out well. I’m super excited that there’s going to be a PS4 version to switch between if I find something I absolutely have to capture. Interesting! Will the Pro version support supersampling on a 1080p screen? Pleasantly surprised to hear this news! This was one of my PS VR launch titles and I enjoyed it a lot, and kept thinking it would really benefit from a Pro performance boost. Will there be options for controls as well? I’ve got my VR legs and I think I could handle this game with smooth turning options, will that be available to VR users, or will it only be available for the standard version, which, I assume, will not have the fade-to-black pie-turning style. Great news on the PS4 Pro VR support. I played for about two hours, but this is the one game I have played so far that really messes with my stomach. Hopefully this will be sorted out with te new patch. Great news, I was thinking about buying this game. There was a comment from ‘Shady’ saying that because this game is also available as a regular ‘non VR’ game it makes it pointless to pickup the headset. I couldn’t disagree more. Have you tried Resident Evil 7? It’s 1000% better with the headset on and its a 9/10 game anyways. 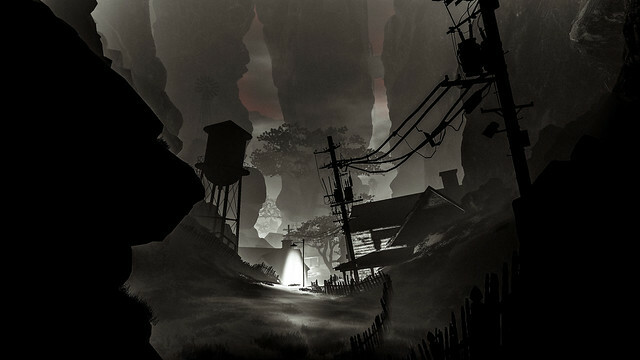 Most of the games that I’ve seen so far including the ‘Here they lie’ demo are fantastic. I really hope VR catches on as it gets two thumbs up from me!!!! I’m glad to see this. I’m glad VR has been getting a good share of games and they don’t all appear to be shovelware. That said VR is a peripheral for those who want a VR experience. For those of us not willing to shell out $400 on top of the cost of a system, some of us just want to play the games. Lack of a peripheral should not preclude the ability to play a game (camera requirements possibly being an exception but I’m not keen on that front either). Peripherals should add to gameplay not be mandatory for gameplay. If a company made a game that was only PS Pro compatible it would be unacceptable. This is pretty much the same thing IMO. I know people will disagree with me but that is why there are opinions. Its not just opinions you have to consider, but game intention as well. A lot of VR games are only good if they’re designed from the ground up for VR. You do not expect a game designed for Vita’s numorous features to be able to play on console (which is why they retooled so many of the ports). You do not expect MGS4 to be able to run on Xbox. While this is good, I hope this isn’t the first sign of PSVR already dieing. All of Vita’s best games came to PS4 when it died. This game a is a total mind F@$! So happy to hear about the update! Also glad i did not finish yet, cant wait to see the difference on the Pro! I feel this is one of the best VR games in atmosphere and environments. It’s a bit of a walking simulator, but very creepy. 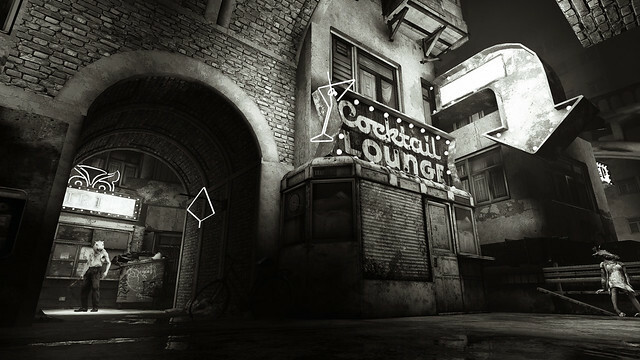 I would describe it as Eyes Wide Shut, The Shining, and Dark City meshed into a game. Great to hear this! Guess I’ll be playing this fantastic game again!!! It is now unplayable… the lines when you move around are unbearable.